Christmas is a magical time, and Milwaukeeans are lucky enough to have many cold weather activities to celebrate the season, along with some cozy options for those avoiding the chill in the air. Looking for the best things to do in Milwaukee for Christmas? Look no further than our list of favorite ways to celebrate Christmas in our favorite city. 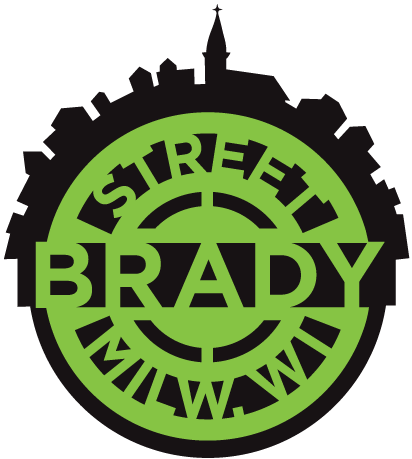 Would you like to join the Milwaukee Food & City Tours team? 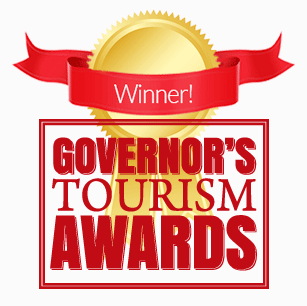 Milwaukee Food & City Tours was selected by VISIT Milwaukee to be the first recipient of the DearMKE Award. 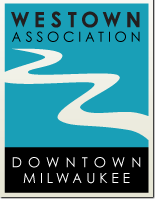 This was presented on Wednesday, May 6, 2015 at Turner Hall during the Annual Meeting of VISIT Milwaukee. Do you have a young foodie in your life? Through the years, we've received many requests to offer a birthday party option for children. We're thrilled to share that we recently had an opportunity to test the concept with an 11-year old foodie birthday party! We hosted Nicholas and his friends on our inaugural birthday tour. Afterwards, mom to the birthday boy shared with us, "Nicholas said it was the best birthday party ever, the parents were impressed and some told me the kids were talking about it all the way home." During the 2.5 hour birthday adventure, we hosted a scavenger hunt through the Historic Third Ward, stopped along the way to make individual gourmet pizzas for attendees, played some ping pong and enjoy soda, and sung Happy Birthday over a cupcake dessert! Interested in scheduling a similar birthday party for a child or grandchild? 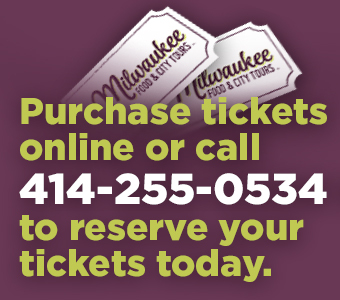 Email us at theresa@milwaukeefoodtours.com for more details. As a reminder, we host many adult birthday parties too! 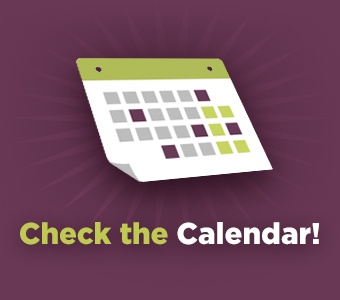 Often times guests will pick a date and time to attend a public tour from our calendar for their celebration, or you may schedule a private outing for just their friends and family. Our personal recommendation for which tour to pick for your celebration? We've noticed that our Pizza Bus as well as our new Pre-Prohibition Historic Bar Tour are hot sellers for birthday outings, and they are our winter favorites too! Tickets are not required. The shuttle will be available on Saturday, September 21 and Sunday, September 22 from 10 am to 5 pm. Shuttle picks up from each location approximately every 30 minutes. Last shuttle lap of each day departs from Milwaukee City Hall at 5 p.m.
Also, during Doors Open, more than 40 in-depth tours will be offered free of charge. Our sister company, Milwaukee Photo Walks, will be offering tours on both Saturday and Sunday at 10 am as part of this; pre-registration through Doors Open is however required. If you'd like to learn more about how you can sign up one of the in-depth tours offered during Doors Open Milwaukee, please visit here: http://doorsopenmilwaukee.org/event-guide/in-depth-tours/. Christkindl Milwaukee Market launches in 2013! When it comes to Christmas, every family has special traditions they call their own. In Milwaukee, family traditions include the Milwaukee Ballet performance of The Nutcracker, the Milwaukee Repertory Theater’s A Christmas Carol, the BMO Harris (formerly M&I Bank) window displays, ice skating at Red Arrow Park, Jingle Bus to view the holiday lights, and of course, Candy Cane Lane. But, there has always been one thing missing when celebrating the holidays in Milwaukee. While we are a German town by nature, we have never had a Christkindlmarket. These open-air markets with their German roots have been popping up around the world in places including Chicago, Denver and Baltimore. In 2013, Milwaukee Food & City Tours is proud to be a driving force behind the start-up of the Christkindl Milwaukee Market. We are doing so because we want to bring home the traditional German Christmas market tradition to Milwaukee. The tradition of the Christkindlmarket can be traced back to the year 1294 when in Vienna they held what was known as a “December market.” The market was an opportunity for farmers to come into town to shop and at the same time as offering their wares. With the reformation of the church in the 16th century the markets changed. Saint Nikolaus was replaced by the Christkindl; Nuremberg was the very first city to hold a Christkindlmarket. As time passed the market developed into a celebration and embodiment of the holiday season. To this day, Christkindlmarkets light up communities with fun, laughter, friends, family, good food, and drink during the advent season. Towns throughout Germany and Eastern Europe hold markets unique to their community. Local tradesmen line the streets with their handmade wares that display distinctive regional characteristics. Although seasonal markets are held year round throughout Germany, the Christkindlmarket is an especially joyous event because it brings light and laughter to the cold, dark winter season. Milwaukee residents may already be familiar with this concept because they have traveled to Chicago for a traditional Christkindlmarket experience. The Chicago market, which takes place in Daley Plaza in downtown Chicago, is known for bringing international traditions to Chicago as is the closest Christkindlmarket to Milwaukee. In 2013, the inaugural Christkindl Milwaukee Market will be on Thursday, November 21, 2013 - Sunday, November 24, 2013 in downtown Milwaukee outside of Best Place on the Pabst Brewery site. Once visitors arrive at the Christkindl Milwaukee Market, they will be able to explore traditional timber houses with Christmas trees and décor, while shopping many ornament and Christmas vendors, and eating and drinking traditional German items. After the Market opens with a keg tapping ceremony, carriage rides, breakfast/photos with Santa, cookie decorating sessions, live performances, and a prayer service will be available throughout the Market. Of special note, the Market on Friday, November 22, 2013 will be welcoming field trips and provide unique educational and tasting opportunities for German high school students throughout the day. Milwaukee Food & City Tours will again be offering the ever popular Christmas Around Milwaukee Bakery Bus tour, plus the Christmas Lights & Desserts Bus tour, throughout the holiday season. For ways to celebrate the holidays with Milwaukee Food & City Tours, including details about the Christkindl Milwaukee Market, please call or email us at info@milwaukeefoodtours.com. Attendees will have the opportunity to stroll through the East Side at their own pace tasting tomato-themed plates plates from 9 delicious restaurants including Beans & Barley, Chubby's, Divino Wine & Dine, G-Daddy's BBC, Ian's Pizza, Love Handle, Melthouse Bistro, Schoolyard Bar & Grill and Two Bucks. Limited tickets will also be available onsite beginning at 10:00 am on Saturday, September 14. Go to the outdoor registration tent at Beans & Barley, 1901 E. North Avenue, to purchase these day-of tickets. ADDITIONAL INFORMATION: Vegetarian items will be options; please be sure to indicate that you are a vegetarian during the Check Out process. Suggestions for safe and low-cost parking options will be made to you at the time of purchase. Upon check-in, attendees will receive their vouchers, listing of menu items, and a map of participating restaurants. Although beverages are not included with the cost of the ticket, restaurants will be offering drink specials. Please tweet photos of your favorite dishes with hashtag #tomatoromp to be entered to win our grand prize! A list of restaurant menu offerings will be provided 1 day prior to the event via email to all pre-registrants. When choosing what to do for your bachelorette party, there are a lot of great choices. But, on one beautiful recent Milwaukee summer night, two separate bachelorette parties realized that a Milwaukee Food Tours outing was the best way to start the night. While the brides and bridal parties were very different, they both were able to share a fantastic night with their girlfriends. One bride, Katie from Port Washington, was getting excited for her impending nuptials. She was following in the footsteps of her parents and in-laws by continuing a family tradition with a wedding planned for the first weekend in June. Her soon-to-be sister-in-law had attended the Brady Street tour and thought a food tou r would be a fun way to surprise the bride-to-be, who only knew that she should wear comfortable shoes. Since the group had chosen the Third Ward dinner tour to begin their night, the tour concluded right in the heart of the Third Ward so that they could continue on to The Wicked Hop for drinks and conversation. But, these bachelorettes aren’t alone. Milwaukee Food Tours is becoming a destination for more and more bachelorette parties and showers. 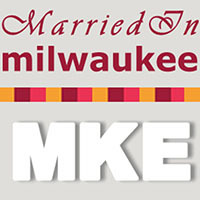 Popular Milwaukee blogs like Wed in Milwaukee and Married in Milwaukee are writing stories on bachelorette parties that have attended the Milwaukee Food Tours over the past few months. 1. Perfect for a multi-generational outing with family before continuing on in the night for drinks and dancing. You won’t be embarrassed taking grandma to any of the locations! 4. 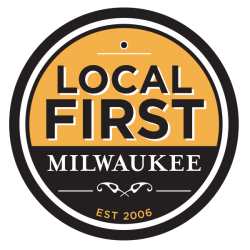 Now you will have a list of great restaurants in Milwaukee to take the in-laws to when they come to town- you’ve got to show off a little, am I right? 5. It's fun!!!!! And isn’t that what your bachelorette party or bridal shower is supposed to be? We promise that we here at Milwaukee Food Tours will give you the best bachelorette party you could have ever dreamt of! Let Milwaukee Food Tours do all the work while you have all the fun. Okay, we might have a little fun planning the adventure too. Check out our options at http://www.milwaukeefoodtours.com/bachelorette.php - we’d like to make your night spectacular! Say “Milwaukee,” and your mind might conjure up some thoughts of beer, brats, bowling, Laverne & Shirley, Fonzie and pizza. Wait, did I just say “PIZZA?” Although most native Milwaukeeans know of our city’s great reputation for Milwaukee-style pizza, only recently is this well-kept secret getting out. In comes Milwaukee’s Pizza Bus. Why would we choose to develop a tour dedicated just to Milwaukee pizza? We’re frequently asked for restaurant recommendations and tour attendees are also often suggesting new tour ideas to us. Through the years we found that so many conversations revolved around pizza favorites that we set out on a mission to visit everything between old-school pizzerias to newer, upscale establishments to find Milwaukee’s top spots, and in the process, the concept of Milwaukee’s Pizza Tour was born. Most people are familiar with Chicago or New York styled pizza, but most have no reference point when it comes to defining Milwaukee style pizza. Our signature pizzas evolved from the Sicilian and Italian immigrants of the late-1800’s that came to the area in search of a better life. With them they brought new ingredients and new cooking techniques. Two such Sicilian immigrants, John Caravella and Joe Todaro, started serving pizza at the Caradaro Club in 1945 when World War II was just ending and pizza was finding its way into the United States. Their marketing technique – handing out free pizza slices on Milwaukee’s downtown streets – was an allure that soon self-perpetuated. Today, Caradaro Club stands in a new location but still serves its original recipe. Unlike a New York style pizza, this Milwaukee style pie continues to be cut in its signature tavern-cut, square pieces and the crust is unfoldable – it is cracker-thin, 1.25 mm to be exact! The sauce is basic, just enough to cover the crust yet not so thick as to overpower it, and the cheese is a shredded mozzarella. This pizza is crisp, light, airy, and thin yet every bite is filled with flavor. When we sit down to a Caradaro Club slice, we most look forward to the rich, near burnt flavors disbursed in each bite by a few dark spots on each crust. Now how did this original slice influence the rest of Milwaukee pizza history? As we traversed the city to sample Milwaukee’s many pizzerias, we learned along the way that many Caradaro Club employees left to start their own establishments. It seems that there are four commonalities that stem from the Caradaro Club original slice now found at other area pizzerias: cracker-thin crust, sauce, cheese, cut. Pizzerias such as Barbierie’s, Balistreri’s, DiMarini’s, Maria’s, Calderone Club and Lisa’s all offer the signature, cracker-thin crust along with a very basic, nearly naked tomato sauce. Despite that we are the dairy state, cheese is not abundantly found on these slices, and nearly all pride themselves on their tavern-cut, square slices of pie. It is hard to define which pizza is best as Milwaukeeans are loyal to their local pizzeria, but all qualify as great examples of a classic Milwaukee style pizza. One of our personal favorites is in Milwaukee’s “Little Italy,” along Brady Street, where we often stop for a visit to Zaffiro’s Pizzeria. History began in 1954 for Zaffiro’s when two nice Italian boys, John and Liberio “Bobby” Zaffiro, created a pizza unlike anyone had ever seen or tasted before. Their pizza has a curiously thin crust – perhaps a mere two credit cards thick - proving even thinner than Caradaro Club’s pizza. To yield this perfection, they begin by par baking their dough, removing it from the oven, flipping it over to dress the pizza, and then returning it to the oven just long enough to finish off the toppings. It is topped with sliced cheese and then ladled with their secret recipe sauce to create a signature Milwaukee style pizza that has consistently been named a favorite among locals and food writers alike. Milwaukee does have its share of pizzerias that don’t fit the classic Milwaukee style, thin crust mold. In a city of thin-crusted pizza, we are home to just one Chicago style, deep dish pizza joint and more recently have seen several New York style “by the slice” establishments as well. Most are newer restaurants offering Milwaukeean’s varieties such as wood firedpizza, as well as the more traditional Sicilian bakeries offerings Sfincione. If you are going on a pizza adventure, ask any local for a recommendation on their favorite thin crust establishment and dive on it, or you can join us on Milwaukee’s Pizza Tour where we’ll show off our city while sampling Milwaukee’s quintessential thin crust pizzas at some of the most historic area pizzerias. "We are honored to be able to collaborate to show off this culinary hotbed of the city and look forward to showcasing a wide variety of both new and established eateries along the way."